Your use of this website is subject to the following terms and conditions that Beacon Bay Retail Park may revise at any time, with the revised terms taking effect as of the date of its posting and governing all subsequent visits to this website after such date. 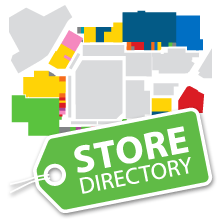 Proprietary information on this website may be downloaded or printed for your own non-commercial, educational, private or domestic use only, provided you do not delete or change any copyright, trademark, or other proprietary notices, or distort or otherwise modify the proprietary information in a manner that may be prejudicial to Beacon Bay Retail Park. Beacon Bay Retail Park analyses aggregate and non-personally identifiable data relating to usage of this website. E-mail addresses and other personally identifying data about you are made known to Beacon Bay Retail Park when submitted to us. The trademarks that appear on this site are registered and unregistered trademarks of Beacon Bay Retail Park or its affiliates or are licensed to the Beacon Bay Retail Park by third parties. Nothing contained on the website should be construed as granting, by implication, estoppel, or otherwise, any licence or right to use any trade mark displayed on this website without the written permission of Beacon Bay Retail Park or third party who owns the trademark. All contents of this Beacon Bay Retail Park website is subject to copyright protection and reproduction of the content, or any part thereof, is prohibited without prior consent from Beacon Bay Retail Park. On this site you may be offered links to other sites operated by parties other than Beacon Bay Retail Park. The inclusion of any link to such sites does not imply endorsement by Beacon Bay Retail Park of the sites or the services or products offered on such sites. Beacon Bay Retail Park has not reviewed all of the sites linked to this website and is not responsible for the content or accuracy of any off-site pages or any other sites linked to this website. Your linking to any other off-site pages or other sites is at your own risk. The link does not imply any association, endorsement or sponsorship by Beacon Bay Retail Park of such site or any products or services offered on such site. Under no circumstances whatsoever shall Beacon Bay Retail Park be liable for any loss arising out of, or in connection with, the use of information available from this website whether direct or indirect including, without limitation, any liability relating to any loss of use, interruption of business, lost profits or lost data, or incidental, special or consequential damages of any kind. Whilst Beacon Bay Retail Park endeavors to ensure that the information on this site is accurate and complete, Beacon Bay Retail Park makes no warranties about the accuracy, reliability, completeness or timeliness of Beacon Bay Retail Park proprietary information, software text, graphics, and links, or about results to be obtained from using the website.